Connect with your guests via mobile concierge during their stay. Be available for special requests and offer services they cannot resist. Ask them for real-time feedback and solve any occurring issues on the spot. 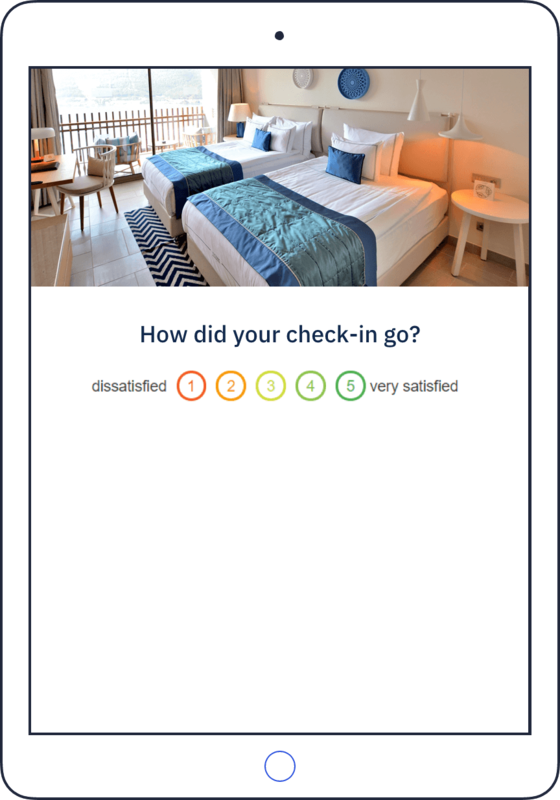 Ask guests for detailed feedback. Just a few clicks on smiley faces and an option for leaving comments. Simple for the guest, gold value for your hotel. Influence your guests’ shopping behaviour by providing your targeted services on their mobile phones. Room service is already on its way! Offer local activities to your guests with no extra effort. Our partners provide the tours and they will be updated/shared automatically. A comprehensive view of all your guests. See detailed information of what they ordered, and the feedback they have given you. If they had an issue, view it immediately and act on it. Send out campaign emails on events happening in your hotel. Receive notifications for actions your guests make, whether it be orders, feedback, or any other request.